Celia’s classes are about having fun, learning new techniques and recognising that it is great to just play and lose yourself in the act of creating. Painting has huge health benefits. Recent research has shown that regular painting can decrease brain age significantly and improve cognitive function. 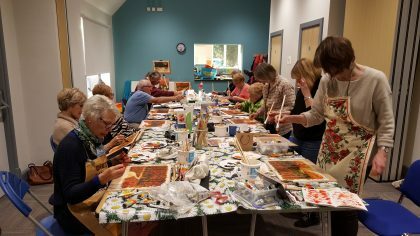 Classes and workshops are suitable for all levels – from experienced artists who just want to try out some different materials and techniques, right through to absolute beginners. Celia will give regular attention to each participant. 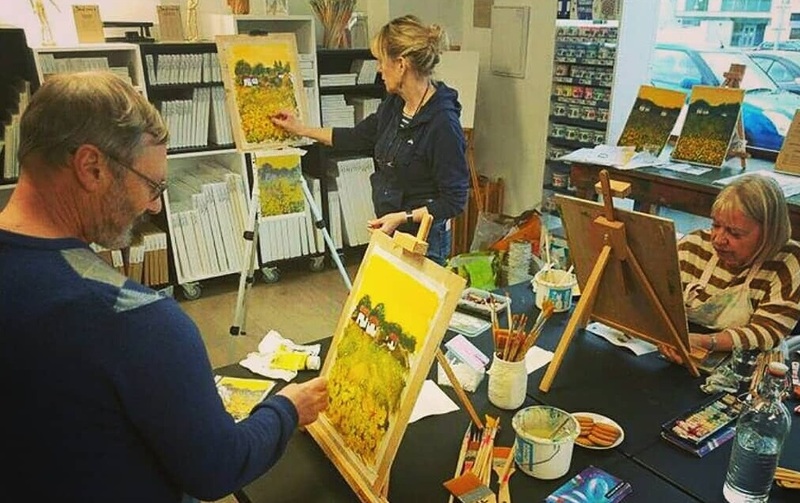 Morning and afternoon classes run each week in Cheltenham and at Jackson’s Art in Gloucester. Visit the booking page to check availability and pricing. What will we cover together? Celia will cover a broad range of subjects using mainly acrylics and watercolours. Other materials will be provided for you to use during the session. You will need to bring a set of acrylic paints, a watercolour pocket set, watercolour and acrylic paper and some recommended brushes. Please contact Celia using the online form below to discuss one-to-one lessons or small group tuition (two to five people).